The first thing that hits you at the March for Life in Washington, D.C. is a veritable sea of people that just keeps arriving on the scene. You see busload after busload offloading and streaming into the massive crowds that fill the Mall, the streets and the sidewalks. Americans of every age and walk of life were there. And you see plenty of young people – it even seemed like a youth rally. Priests and religious were also out in full force. It was as if they all came out of a sense of sacred duty. It is an annual event that the pro-abortion movement dare not imitate; a massive groundswell that the liberal media dare not report. 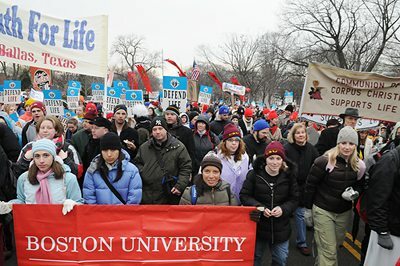 Americans of ever age and walk of life participated in this year’s March for Life. Braving the most adverse winter conditions, people come with dedication and determination. They travel long distances. They come in rain or snow. Nothing seems to stop them. The drizzling rain had a good result, when a beautiful rainbow appeared, perfectly framing the US Capital Building. However, this year, many saw something that had not been seen before. About a half hour after the march finished, many participants were astonished to see a full rainbow starting on one side of the Capitol building and ending on the other side. It seemed symbolic of a covenant with God forged over the years by the throngs of Americans that make their way to Washington to protest the killing of the innocent. 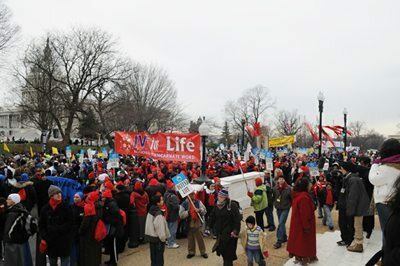 This year’s March for Life had an estimated 220,000 participants. Four TFP members, wearing the TFP ceremonial habit, processed with a pilgrim statue of Our Lady of Fatima. The contingent was especially privileged with the presence of his Imperial and Royal Highness Prince Bertrand of Orleans-Braganza who proudly marched and distributed flyers. Other groups marching together with the TFP was the entire student body of the TFP-staffed St. Louis de Montfort Academy of Herndon, Penn. Side-by-side with their American counterparts were contingents from American TFP sister organizations from Italy, Germany, France, Brazil and the United Kingdom. 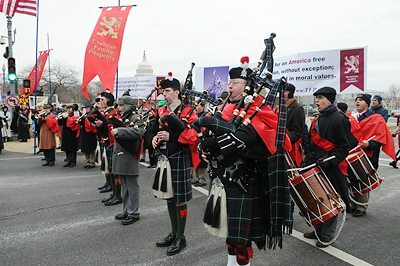 As in past marches, the TFP’s Holy Choirs of Angels marching band lifted the spirits of those present, by playing a selection of patriotic hymns and American marches. The ensemble included brass, fifes and drums. The stirring strains of the bagpipes were especially appreciated by the passing crowds. As in past years, the TFP’s Holy Choirs of Angels band livened the spirits of those marching towards the Supreme Court building. 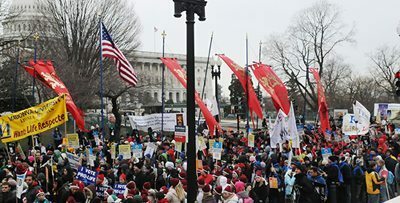 The March for Life in Washington was not the only pro-life event held to protests the sad and tragic anniversary of Roe v. Wade. Similar events were held all over the nation. One noteworthy pro-life effort was the Fourth Annual Walk for Life West Coast which gathered an impressive 25,000 participants. Many TFP Supporters, led by TFP member Philip Calder, joined a crowd which was taunted by pro-abortion activists along the march route. “We are pleased by the growing numbers and this is clearly a movement that is taking root in a city known for its trend-setting,” said Walk Co-Chair Dolores Meehan. The first Walk in 2005 drew more than 5,000 and last year’s Walk drew about 20,000 people. On Sunday, January 20, more than 700 faithful gathered in San Diego’s St. Joseph’s Cathedral for prayer and a procession with the presence of the famous International Pilgrim Virgin Statue of Our Lady of Fatima. 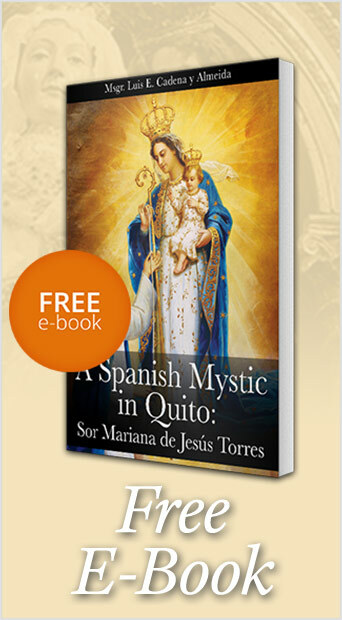 Led by San Diego auxiliary bishop, Most Rev. 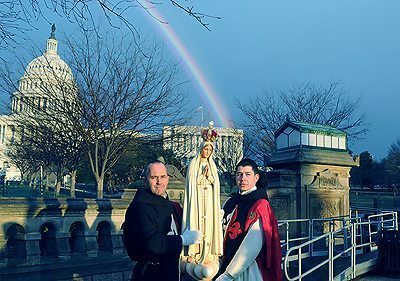 Salvatore Cordileone, with miter and crosier, the procession of reparation proceeded just over a mile to the Family Planning Associates Abortion Center. God will not forget those who defend Him. The overwhelming response to the call to defend God’s law is a challenge to the unpopular pro-abortion movement that cannot even think of uniting so many annually to their cause. However, such response is also the result of the “blood, sweat and tears” of those who offered prayers and sacrifices in the public square. 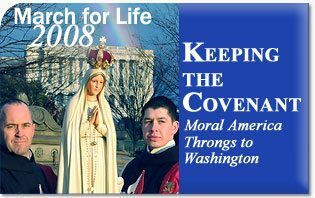 This entry was posted in In Defense of the Unborn and tagged abortion, America, bishop, bush, capitol, country, covenant, Creator, history, keep, Keeping the Covenant, Legislator, liberal, life, march, Media, moral, Moral America Throngs to Washington, Nellie Gray, President, pro-life, protest, public, rainbow, rally, record, Reject, square, unborn, Washington, year, youth by John Horvat II. Bookmark the permalink.